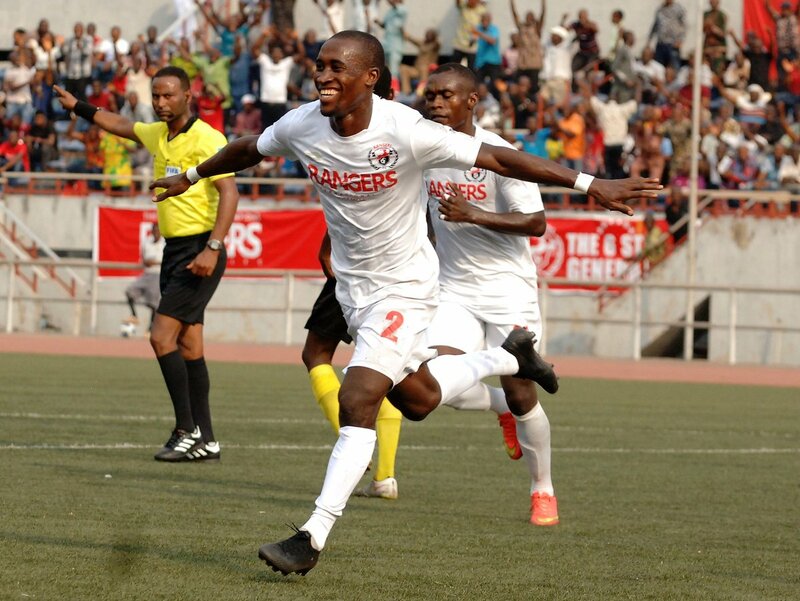 A brace from Godwin Aguda helped Rangers International FC registered a 5-2 victory over Remo Stars FC in the Nigeria Professional Football League Match Day 12. Aguda completed his brace for the host on the stroke of fifty minutes and goals from Godwin Aguda, Ajani Ibrahim and Michael Uchebo mean that the flying antelopes got all maximum points in the ongoing NPFL. The Sky Blue Stars scored first in the eighth minutes from a resulting corner kick, Victor Mbaoma headed back and Bright Akpojuvwevwo calmly tap the ball home to give the visitors the early lead. The host pressed harder to get an equaliser and their first chance came through Ifeanyi George but Fabiyi Emmanuel was calm to deny the attempt. Ifeanyi George continued to mount pressure on Goalkeeper, Fabiyi Emmanuel and finally yielded profit for the host in the thirty fifth minute after he found his way pass his marker to level up things at the Cathedral. As the first half was about coming to an end, the host pressed further again and was gifted an opportunity to get their second goal of the day after the referee pointed to the spot from an adjourned hand ball and Godwin Aguda converted to increase their tally. 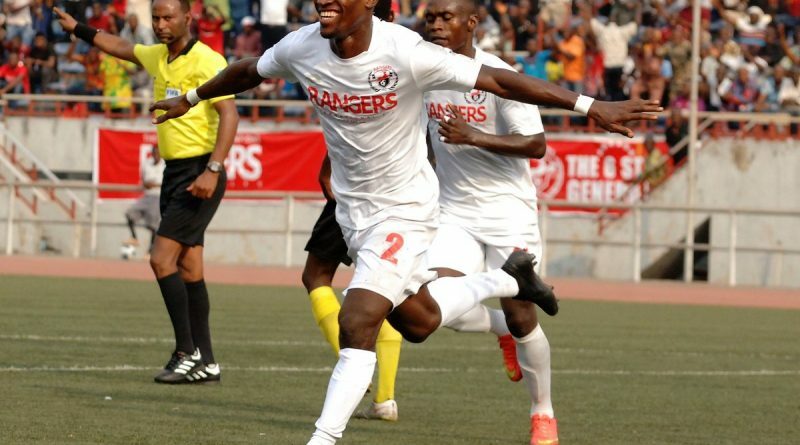 Rangers International showed more intent at the start of the second half with two chances going the way of the host before poor communication between Fabiyi Emmanuel and Bright Akpojuvwevwo gave Godwin Aguda the chance to score into an empty net. The host continued to press and create chances with more possession with ball regaining more confident and Ajani Ibrahim got the chance to register his name on the scorers sheet and getting the fourth goal for the flying antelopes. The visitors were offering very little going forward to get their second before Fabiyi Emmanuel was then forced to pull a save to deny Michael Uchebo the chance of increasing their tally. The Sky Blue Stars later got their second goal as consolation after a deep cross from Awoyemi Abiodun was attacked by Shokunbi Dare and Ezeh Chidera headed harmlessly to beat his own goalkeeper, Nana Bonsu. Michael Uchebo finally got a chance to make it the fifth goal for the host from a good control, he beat his marker and scored brilliantly to make it a seven goal thriller on the night. Next for the Sky Blue Stars is a rescheduled match day eleven against Rangers International at the Gateway International Stadium, Sagamu on Wednesday, 27th of March, 2019.